Available with all eligible lighting below. 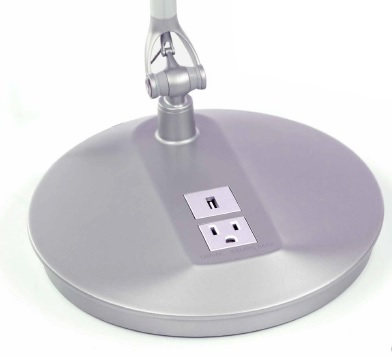 Description: With a built-in USB port and convenience receptacle, the Element Technology Base is compatible with all existing Element lights for an even more user-friendly task light. Description: Element produces the equivalent output of 70 watts of incandescent lighting, draws fewer than seven watts of power, and offers an exceptionally long 60,000-hour life span—30 years of daily use in a 9-to-5 office environment. Element overcomes all the weaknesses of current-generation LED task lights for performance that can’t be matched. Featuring advanced MCX LED Technology for exceptional performance, Element 790 is one of the most award-winning LED task lights in the world. 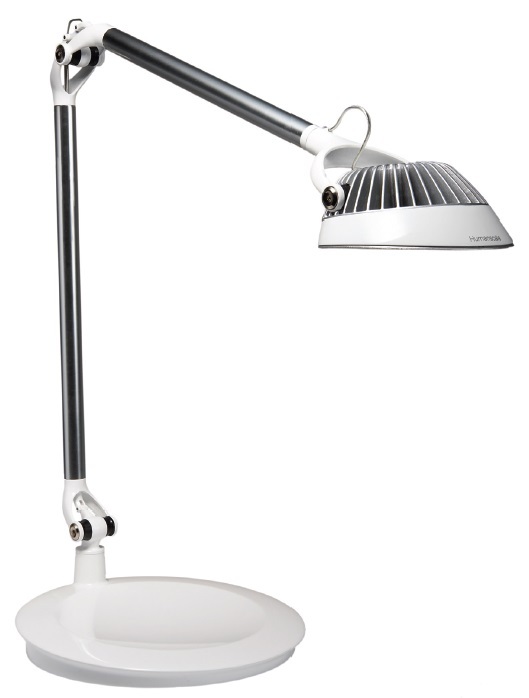 Element 790 combines innovative design and high-performance illumination in the ultimate LED task light. It has a seven-level dimmer for enhanced user control and energy savings. Description: From its chic, futuristic looks to its next-generation technology, Element Disc is ahead of its time and ahead of its class. Utilizing innovative Thin Film LED Technology™, Disc offers seven levels of dimmability with just an effortless “pinch” of the light head. Taking advanced LED technology to a new level of sustainability, Disc features an occupancy sensor that turns the unit on or off when the user enters or leaves the area. When not in use, Disc folds into a compact nesting position, with the form of the lamp head gracefully echoing that of the base. Description: Introducing a revolution in LED task lighting. Using cutting-edge advancements in MCX LED TechnologyTM, Element Vision produces a broad footprint of true-color, glare-free illumination—perfect for exceptional ergonomic lighting in any environment. Beyond using just seven watts of power, Vision’s energy-saving features include an intuitive dimmer control for adjustable light intensity and a passive infrared (PIR) occupancy sensor that turns the unit off when the user leaves the area. 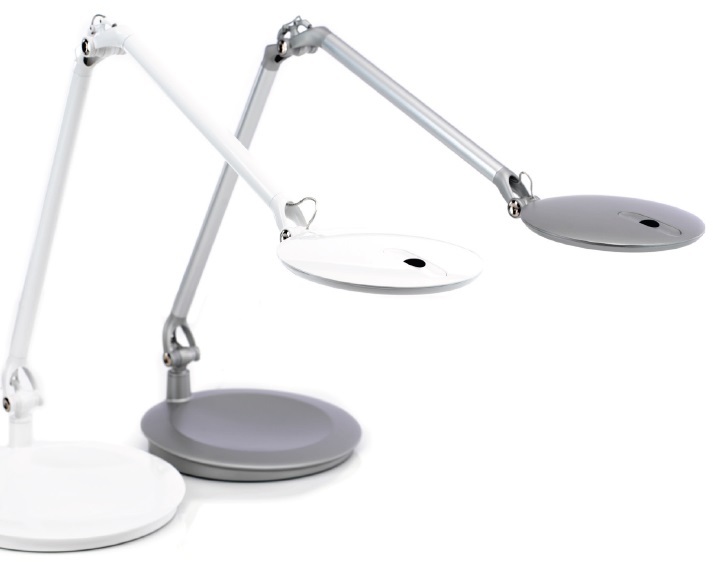 Description: Humanscale’s Horizon LED task light, a visually striking fusion of form and function, is the first use of Thin Film LED Technology™ in a task light. Using a series of high-intensity LEDs surrounding several layers of polycarbonate and optical films, Thin Film LED Technology produces an ultra-wide footprint of warm, glare-free 3000K light—excellent for ergonomic illumination and beautiful light in any environment. In addition, Horizon’s built-in dimmer control provides both energy savings and adjustable levels of illumination. Research shows eyestrain is the top health-related complaint among office workers, and up to 80% of office workers experience at least one negative effect from poor lighting. 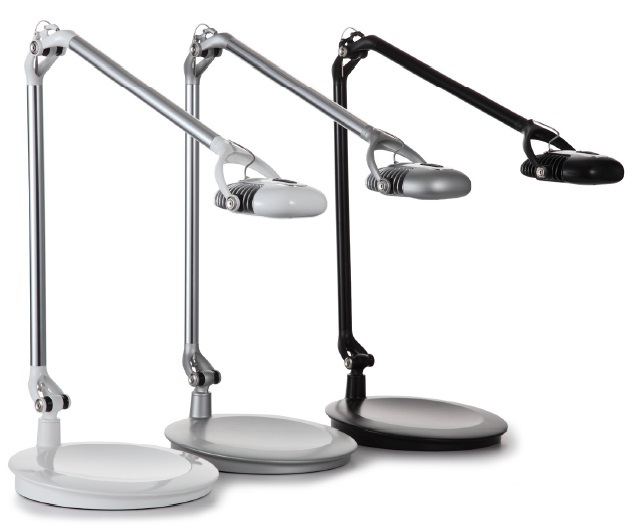 Task lighting provides ergonomic comfort by supplying the right amount of adjustable illumination for each user and task while reducing glare and computer vision syndrome. Three-quarters of office workers want more lighting control—and there are very good reasons to give it to them: Task lighting has been shown to elevate mood and positively influence productivity. 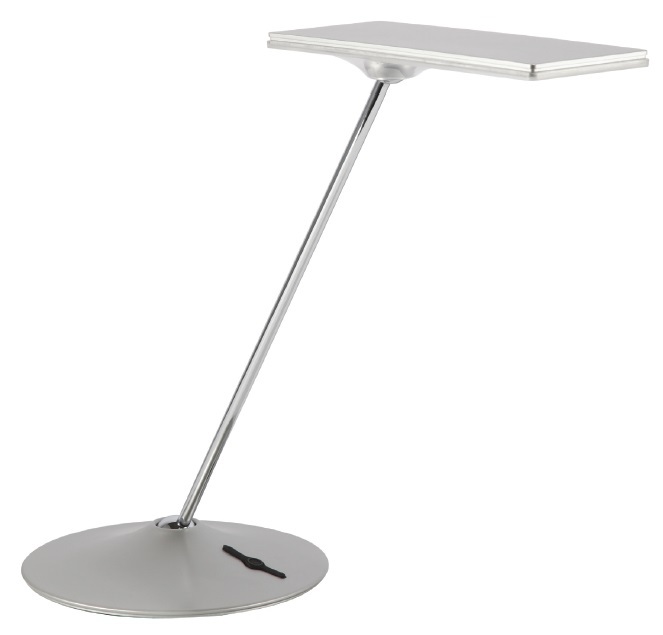 © 1999-2019 Ergonomic Office Products - Sit-Stand Workstations, Ergonomic Seating, Monitor Arms, Anti-Fatigue Mats, Footrests, Task Lighting & Back Supports for healthy computer use, cubicles, and home offices.